Good Morning Onward Nation…and welcome to Episode 382…I’m Stephen Woessner. Thank you for taking the time to be here this morning and for making Onward Nation part of your daily routine. I want you to know how much your time and attention mean to me. I’m keenly aware that there are many demands on your time — at this moment — and yet you chose to spend some of your precious time with me to learn more about the lessons we share from today’s business owners. I take the trust you place in us pretty seriously. My team and I know that we need to deliver practical and tactical knowledge within every episode — knowledge you can take and apply into your business to accelerate your results, quickly. But oftentimes — a critical component to being successful when applying newly found knowledge is fighting back the fear and temptation to procrastinate. The overwhelm — the delay — in reaching back out to your top prospect who has not made a decision on your proposal yet — and guess what — fear and procrastination is what is holding them back from making a decision in your favor, too. But Onward Nation…if you solve for the fear on both sides of the equation — meaning your fear and their fear — your probability of success increases exponentially. Or, maybe you are plagued by the failure of a previous venture or a series of ill-advised decisions — and there are days when the burden of money lost and opportunity squandered makes you feel like quitting. I get it — I’ve been there. I have been at the top and I have been at the bottom. I know what the daily pressure feels like when you need to add employees because of increased demand but you can barely afford the team you currently have because you are still paying for mistakes in year’s past. But, rest assured, Onward Nation, the pressure you may be feeling right now…the pressure that seems unending…is actually refining you. As you feel your business model being compressed, pushed, and pulled — all of it — it is actually a beautiful thing. The intensity of your situation right now is refining you into something spectacular — if you let it. 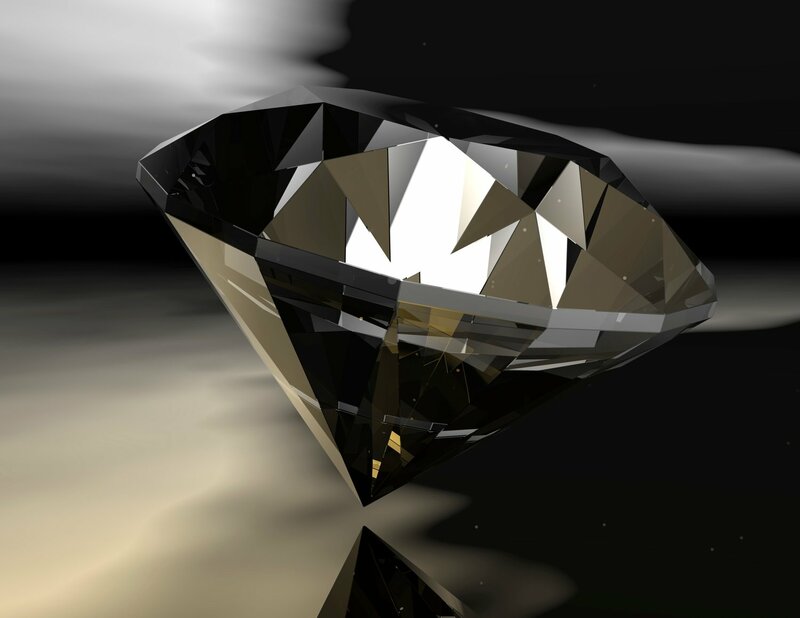 You and your business may be a diamond in the rough — and it is the intense pressure of today that is refining you, cutting you, removing all of the impurities from your business — and if you have the guts, the mental and physical fortitude to stick it out, you will be a brilliant diamond on the other side of it with exceptional cut, clarity, and color. So as odd as it may seem — and as painful as it is to endure — enjoy this time — focus on the result outcome — and apply proven, practical, and tactical knowledge to get you through to the other side. And that is what I am going to share with you during today’s solocast. I am going to share my favorite success quote — I am going to share some of the behind-the-scenes of one of my biggest and most terrifying business failures that caused me to have many puke in the bucket moments. And I am also going to share the story behind a one-on-one call with my mentor, Darren Hardy and how he properly shifted my mindset, like iron sharpening iron, and gave my team and I the momentum we are still riding today here at Predictive ROI, the content marketing and lead gen agency that I lead alongside our incredible team when I am not interviewing today’s top business owners. And I am going to share all of this insight by sharing — in its entirety — my full interview with John Lee Dumas, host of the exceptional EOFire podcast. John invited me to be his guest for Episode 649 of EOFire and it was an incredible experience. JLD asked me tough questions and I’m excited to share with you the blueprint for eliminating the guesswork behind building an audience — and overcoming the fear and procrastination that often holds us back. Onward Nation, the lessons you will learn as a result of listening and studying this interview are timely — because if you put them into practice — you will take several large leaps ahead of your competition and be well on your way to ensuring 2017 is your most successful year ever — in whatever way you define success — because it is a deeply personal metric and is different for all of us. Hey — welcome back, Onward Nation — I hope you found the practical and tactical recommendations I shared with JLD, and now with you, to be valuable as you refine and sharpen your plans for 2017. Remember, all of the intense pressure that may be bringing you to your knees each and every day…is helping you…if you let it. Learn from it…adapt…change course…and get mad…fight back…but next time…fight back using the wisdom of what you learned…and you will begin to see the cuts and clarity taking shape, Onward Nation. You will walk brilliantly into 2017 as the perfectly crafted diamond you were meant to be because you will have allowed the process of pressure and heat to unlock all of God’s abundance. So, Onward Nation…you are capable — you have the gifts and talent to get through whatever the pressure you are feeling at this very moment — you can get past it — and you will make 2017 the best it has every been. With that, Onward Nation…I want to thank you again for taking the time to be here with me today. It is always an honor to have you here — I want you to know how much I appreciate you sharing some of your invaluable 86,400 seconds you have in your day with me and the strategies we learn and share each day from today’s top business owners. We will be back tomorrow with an incredible encore interview with Linda Hollander — she is rock solid awesome and will take you by the hand, behind the green curtain of sponsorships, and how you can leverage your business platform into a sponsorship of $10,000 to $100,000 with a large corporate brand. She is amazing and shares the details in full transparency! You will love it.